The Sun Prairie Pet Clinic, Inc. was founded on the belief that our pets occupy a very special place in our lives. We recognize and celebrate the unique gifts that our canine and feline family members give to us unconditionally. Our goal is to keep our pets healthy and strong through all stages of life. We strive for this goal by advocating wellness care for the healthy pet, as well as timely and appropriate diagnostic and therapeutic interventions for the sick pet. We know that each pet and each family are unique; therefore, we tailor medical care for each pet and family individually based on individual needs. 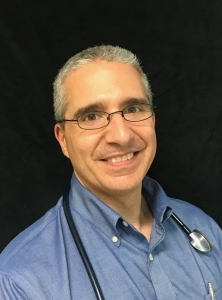 Dr. Vitale graduated from the University of Illinois, College of Veterinary Medicine in 1995. Immediately out from school he took a position at a large, 24-hour veterinary hospital as an emergency veterinarian. This experience was tremendously rewarding for the diversity and complexity of cases he was exposed to. He become comfortable with a broad range of medical and surgical cases, as well as dental care. He was looking for a more prolonged relationship with the patients and clients, which is something the emergency room did not provide. After 9 years in emergency medicine he changed to become a daytime general practitioner. Since that time he has been able to focus on the lifelong relationships with patients and clients that he finds most rewarding. He continues to have an interest in emergency medicine, though this is augmented by an interest in preventative medicine and wellness care. He appreciates the opportunity to get to know the clients and their pets well enough to develop a personalized plan for health care for each patient. In the spring of 2008, he fulfilled a dream of practice ownership by opening the Sun Prairie Pet Clinic, Inc. He hopes to establish a lifelong relationship with my clients, my neighbors, and my new hometown. We were recognized as the Best of Sun Prairie 5 times over the past 8 years. He recognizes that this is a team effort in every way, and he is grateful to the staff for their dedicated efforts and to all of the clients that voted for us to receive this award. As always, we will look to exceed your expectations in the future. He is a member of the American Veterinary Medical Association, the Wisconsin State Veterinary Medical Association, and the American Animal Hospital Association. He is certified to perform PennHIP evaluations for canine hip dysplasia. Dr. Lauri graduated from the University of Wisconsin – Madison in 2012. She enjoys the variety of general practice. 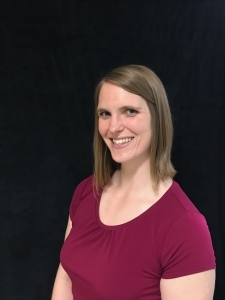 When not at work she spends her time with her Great Dane and two cats, as well as working out at a local bootcamp, hiking, reading, crafting, and playing the piano. Dr. Stephanie Brye graduated from the University of Wisconsin School of Veterinary Medicine in 2003. Since graduation she has practiced at 2 different clinics before landing here in Sun Prairie where she lives with her family. She is a Wisconsin native and avidly cheers on her Packers, Badgers and Brewers. “Free time” is spent with her husband and 2 kids and usually involves transporting to and from various children’s sporting events. Her house is kept entertained by Sunflower (Sunnie) a 1 year old mixed breed dog and 3 cats all with their own unique personalities. She is excited to meet and work with you and your pets! Allison is a Wisconsin native. She decided to follow in her grandfather’s footsteps, who was a veterinarian in Waukesha, WI. 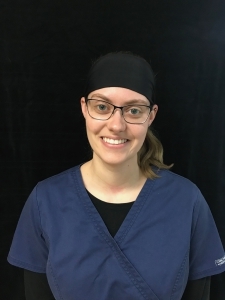 Allison is a 2012 graduate of the veterinary technician program at Globe University, Madison East campus. 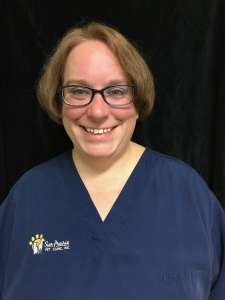 Allison completed her externship at Sun Prairie Pet Clinic and was hired immediately after completion. 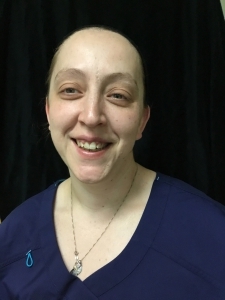 Outside the clinic, Allison volunteers at her church in the Arts Ministry team, hangs out with her nieces and nephew, and loves spending time with her own cat Merlot and her extended clinic of fur babies. In the past she has tutored students in the veterinary technician program at Globe University. 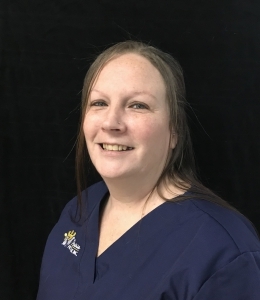 Margaret joined our practice in August of 2011; she graduated from the MATC Veterinary Technician Program in June of 2004. She is interested in emergency medicine and works as an emergency technician when not at SPPC. Kya has always had a passion for animals. That same passion lead her to a career in the veterinary field. When not at work you can find her at home with her son, Evan and two dogs, Ransom, and Wruckus. 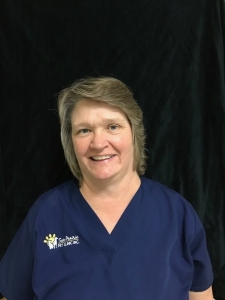 Kathy has been working in the veterinary field as a client service representative for several years. She lives with her husband in Brooklyn with her dogs and cats, and luckily has the space for her horses as well. Cheyenne lives in Madison with her husband, 4 kids, and granddaughter. When not at work, Cheyenne enjoys hunting for sea glass, making jewelry, and reading. Cheyenne’s love of animals brought her back to the veterinary field. 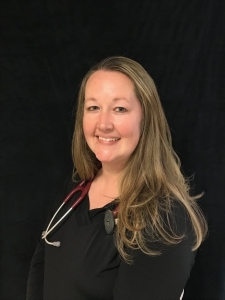 After growing up in a small town in northern Illinois, Kristie moved to Madison in 2016 to pursue a career as a Veterinary Technician. 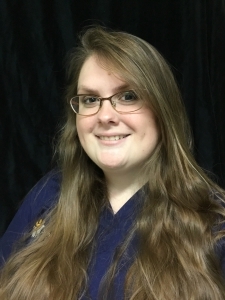 Upon graduation from Madison College in May 2019, she plans on putting down roots here in the Madison area. 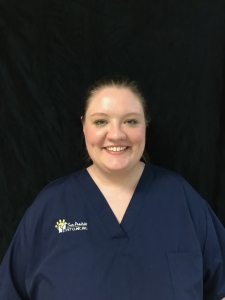 As a proud cat mom of two rescues, Kristie plans on continuing to grow her passion for animals ad would love to one day specialize as a surgical assistant. Outside of the Clinic, she spreads her time off between pageants, family, and running a non-profit organization. Emma is senior at Sun Prairie High School and is an apprentice at SPPC through the Dane County Youth Apprenticeship. She plans on attending the University of Wisconsin – Platteville and study Animal Science with an emphasis in Veterinary Science. She lives with her Saint Bernard, Brutus, and her Great Pyrenees mix, Cooper. In her free time, Emma loves to dance and has been dancing for 13 years. Ashley has been working in the veterinary field for nearly ten years. She lives in Sun Prairie with her husband and two children. Ashley has many animals which include two dogs’, a Goffins cockatoo and a ferret. In her free time she enjoys family time, outdoor adventures and spoiling all her babies. McKenzie graduated from Globe University with an Associates Degree in Veterinary Technology in 2017. 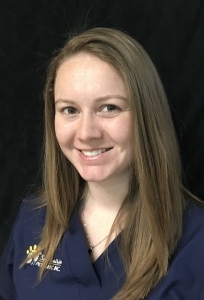 She has been hoping to work with animals since she was 6 years old, and since then she gained experience working in emergency, preventative care, and private practices. She currently lives with Echo (a Siberian Husky) and Gizmo (a leopard gecko). Outside of work McKenzie looks forward to spending time with her parents and little sister, and especially looks forward to a week long fishing trip to Canada with her father. In her down time, McKenzie enjoys drawing and spending time outdoors. She hopes to help every pet that walks into the clinic and provide the best care for them in any situation. Terri has been in the veterinary field for 20 plus years. 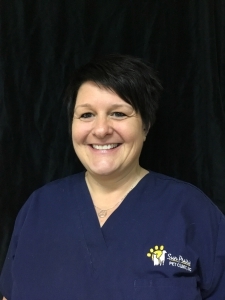 She strives to remember all clients names and pets and treats all patients like her own pets. Which include a Frenchie named Fiona a Pitbull named Nala and a little mutt named Mowgli. Two big cats, Michigan and Olaf and we can’t forget the chickens. Terri enjoys working with animals and has many of her own. A dream of Terri’s is to own a small farmette and add to her love of animals. In her spare time she loves to be outside hiking and visiting zoos with her large family. Terri resides in Sun Prairie with her husband and one of her five kids still lives at home. Her pride and joy are her five grand children.